ZAGREB – At the 19th session of Igman Initiative held in Zagreb, November 7-8th, under the title “Problems faced by countries in this region on their path to European Union”, a proposal to organize a summit meeting of West Balkan countries was raised. For all countries of this region and for the bodies of European Union, this summit meeting will be a strong signal that triggers faster region’s advancement towards fully fledged EU membership. President of the Republic of Croatia, Mr. Stjepan Mesic, offered his support for this proposal to organize a summit meeting of West Balkan countries as soon as possible. According to Mr. Zivorad Kovacevic, Board member of Igman Initiative and a president of the European Movement in Serbia, this summit will be an opportunity to “evaluate the progress of our countries on their European path. In this sense, 19th session of Igman Initiative in Zagreb was the first step in this direction, which is going to be followed by the next step – the summit itself. Meeting of representatives of the EU and representatives of this region’s countries at the highest level will be the final step. Igman Initiative desires to have this summit organized during the term of the Check Republic’s EU presidency. There are strong signals coming from the officials in Rome that indicate the interest of this city to host the summit meeting. President Mesic has gladly accepted the proposition to be the host of this regional summit. In his speech, he pointed out that truth remains crucial for building good relations in the region, especially now when – according to his perception – general climate in the region is worsening and in some aspects beginning to resemble the 90’s of the past century. “I am not a pessimist and I do not wish to exadurate things, but I cannot look away from the situation in the neighborhood. What I see and hear is not good for Bosnia and Herzegovina and for the whole region. Staying silent in such situation would be a repetition of a mistake done not too long ago, and neither we nor the international community can afford to repeat it.” – Mr. Mesic said alluding to the issue of Republic of Srpska. He also pointed out his concerns about the stagnation of relations between Croatia and Serbia, where communication channels are open but “nothing runs through”. 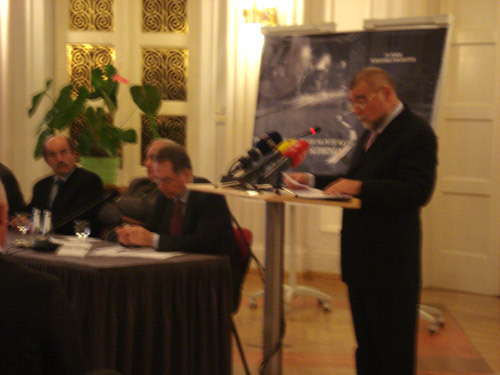 Host of this meeting, Mr. Zoran Pusic, president of the Citizens’ Board for Human Rights and a co-president of the Igman Initiative, believes that greatest stumbling blocks on Croatia’s path to the EU are inefficiency of the justice system and political extremism, lately diminished to some extent. 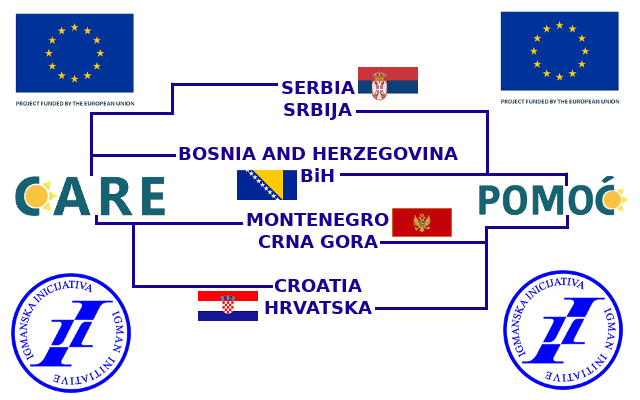 President of the Croatian National Board for monitoring EU accession, Ms Vesna Pusic, said that it was no secret that some of the countries have not even negotiated their accession to EU, while other countries negotiated only formally. However, after Romania and Bulgaria’s EU accession, Croatia is faced with very strict criteria, while other countries that haven’t even negotiated their accession yet, will face even stricter criteria. 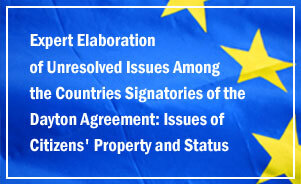 “To us, EU’s criteria should not suffice; for our own sake, it should be even stricter.” – Ms Pusic said. She also added that justice system remains a crucial issue for Croatia, having in mind that before the disturbing events in Zagreb and personnel changes within the Government, almost nothing was being done. 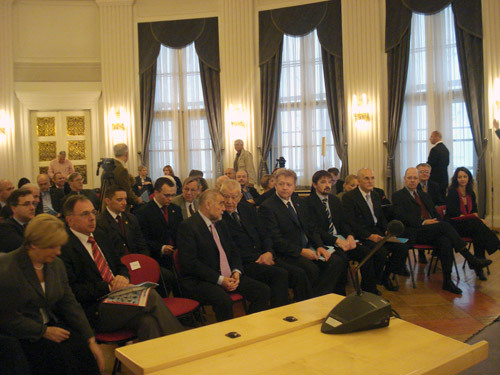 Similar experiences were described by participants from Bosnia and Herzegovina, Serbia and Montenegro, who concurred on the fact that corruption, organized criminal and still present nationalism manifested by violence are the main problems that trouble their countries and hold them back on their path to the fully fledged EU membership. Participants of the Igman Initiative conference have been addressed by the Chief of the OSCE Mission in Croatia, Jorge Fuentes Monzonis – Vilallonga and by the Chief of the Delegation of the EU Commission Vincent Degert. Mr. Fuentes has expressed his understanding for doubts and fears of Croatia in regard of EU accession, but he also said that there’s no reason for that. “You will join the European Union, very soon. No one there wants to exploit you, they only want to help” – said the experienced Spanish diplomat from the OSCE Mission. Mr. Degert pointed out that there is no doubt that all countries of Igman Initiative belong to Europe – geographically, culturally and historically.